Priyanka Gandhi will take charge in the first week of February. Priyanka Gandhi Vadra has officially entered active politics with Congress President Rahul Gandhi appointing his sister as Congress General Secretary for Uttar Pradesh (East) for the upcoming Lok Sabha elections. The announcement was made by the Indian National Congress on Wednesday. Priyanka will take charge in the first week of February. “Honourable Congress president has appointed Shrimati Priyanka Gandhi Vadra as AICC General Secretary for Uttar Pradesh East. She will be taking charge with effect on first week of February 2019,” the party said in an official release signed by General Secretary Ashok Gehlot. Priyanka’s appointment comes as a major challenge for UP CM and BJP’s star campaigner Yogi Adityanath. “The responsibility given to Priyanka ji is very important. This will not only have an effect on eastern Uttar Pradesh but also other regions,” Senior Congress leader Motilal Vohra said. 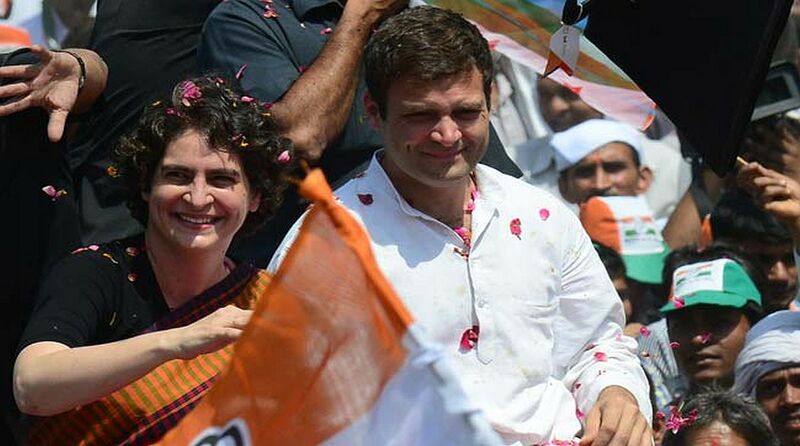 Priyanka has always had a say in strategising electoral campaigns and preparing the candidate list for the Congress. Except for 2017 UP elections, Priyanka in years before, had spent days on the campaign trail, meeting people and even directing election strategies. She has campaigned for Rahul Gandhi and Sonia Gandhi in the Lok Sabha constituencies of Amethi and Rae Bareli, respectively. Businessman Robert Vadra, Priyanka Gandhi Vadra’s husband, took to Facebook to congratulate her “Congratulations P… always by your side in every phase of your life. Give it your best,” he said in the post. Meanwhile, Member of Parliament Jyotiraditya Scindia was appointed Congress General Secretary for Uttar Pradesh (West). KC Venugopal was named Congress General Secretary (Organisation), even as he continues in his role as AICC General Secretary in-charge for Karnataka.